Posted March 28, 2019 in P2P, PCard, Purchasing, UShop. Note: These sessions are intended for departments that work with Campus Purchasing including UShop. Hospital employees may have UShop access for University (internal) departmental purchases such as the Print Shop, Bookstore, Nutrition Care and Guest Housing. Please email Karri Almond for UShop registration as the UShop link may not work for Hospital employees. Posted March 28, 2019 in P2P, Punch out catalog, UShop. Posted March 6, 2019 in P2P, Purchasing, UShop. The last day of the University’s fiscal year is June 30, 2019. Procurement transactions required to be completed prior to the end of FY 2019 are subject to the due dates described below. The dates shown below are estimates and not guarantees. They reflect the typical time necessary to allow for a procurement process to be completed, as well as for delivery of requested goods or services prior to June 30th. Delivery of goods or services based on procurement requests submitted after the dates below may not be completed by June 30, 2019. April 8, 2019 – Request for Proposal (RFP): Requisitions for procurement requests requiring a request for proposal process must be submitted by April 8, 2019. This process requires draft RFP documents for review and input by Purchasing, committee chair participation, and suggested vendor list. 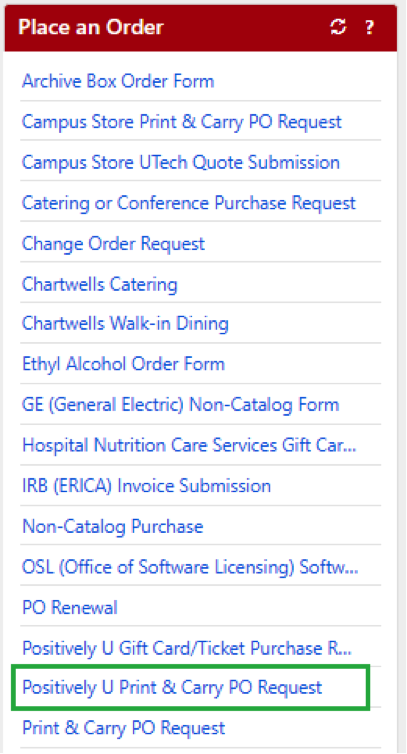 April 8, 2019 – Multi-Stage Invitation for Bids (IFB) for purchases over $50,000: Requisitions for procurement requests requiring a multi-stage low bid process must be submitted by April 8, 2019. This process requires bid stage advancement criteria, specifications/requirements, and a suggested vendor list. May 3, 2019 – Invitation for Bids (IFB) and Sole Source Requests for purchases over $50,000: Requisitions for procurement requests requiring a standard low bid process must be submitted by May 3, 2019. The IFB process requires specifications/requirements and a suggested vendor list. The sole source request requires a completed sole source form and quote. 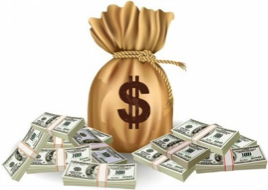 May 31, 2019 – Request for Quotes (RFQ) and Sole Source Requests for purchases between $5,000 – $50,000: Requisitions for procurement requests requiring a quote or sole source process must be submitted by May 31, 2019. The RFQ process requires complete specifications and a suggested vendor list. The sole source request requires a completed sole source form and quote. 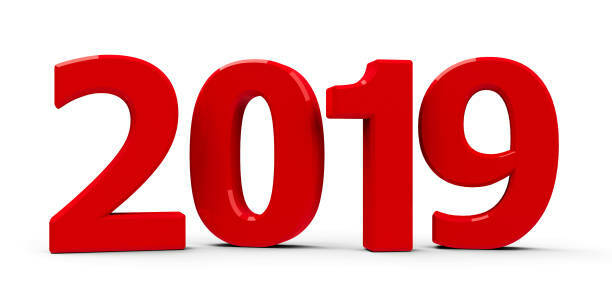 Goods and Services must be received and the invoice dated on or prior to June 30, 2019 to be charged to fiscal year 2019 funds. Grant funded purchases must be completed at least 30 days prior to project end date which may alter the timelines listed above. 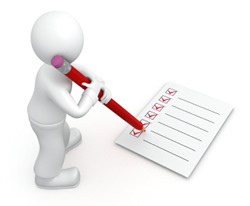 Contracts must be fully executed before a purchase order is issued. If you have questions, please contact the Purchasing Department at (801) 581-7241. 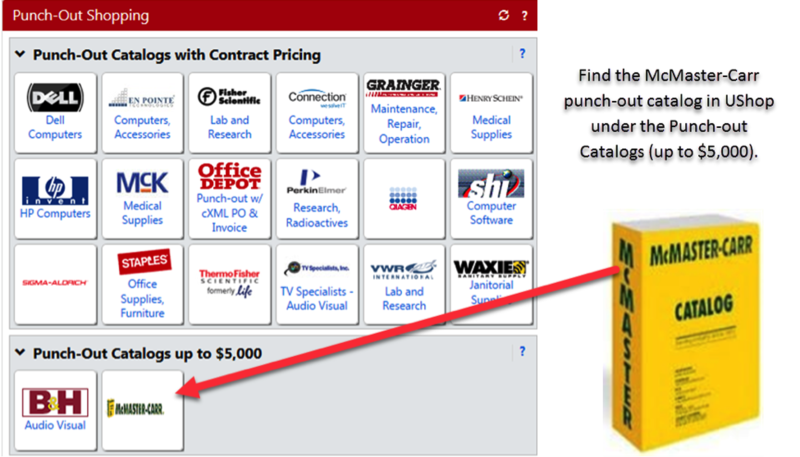 McMaster-Carr Punch-out Catalog now available in UShop! Posted February 4, 2019 in P2P, Punch out catalog, UShop, UShop Enhancements. McMaster-Carr provides tools, raw materials, and maintenance equipment and supplies. They also have a wide variety of mechanical, electrical, plumbing, and utility hardware. If you have any questions regarding UShop or the McMaster-Carr punch-out Catalog, please contact the UShop team. Comments Off on McMaster-Carr Punch-out Catalog now available in UShop! Posted January 17, 2019 in P2P, Purchasing. The Procurement and Contracting Services Department in conjunction with the Office of General Counsel and the Conflict of Interest Office has revised the Sole Source (Non-Standard) Procurement Process Request Form, commonly known as Sole Source Form. The Conflict of Interest Disclosure section has been revised to include additional information and must be completed by each decision maker involved in directing the sole source selection to the vendor. Section D has been added to Part 2 to include categories of exceptions to the standard procurement process requirements compliant with Regents Rule R571-8 and University Procedure 3-100C. The new form can be found on the Purchasing website under FORMS, or click here. Please share this information with others in your department who may have interest. Please contact the purchasing department (801-581-7241) if you have questions. Order Printing Services from the Marriott Library in UShop! Posted August 27, 2018 in P2P, Supplier, UShop, UShop Enhancements, UShop Tips. We’ve enabled the purchase of printing services – including 3D printing – at the Knowledge Commons desk (located on level 2) at the Marriott Library in UShop. How do I use UShop to order printing services? Log into UShop and indicate the quantity needed—pricing is per page, per square inch (for posters), or per gram of material (for 3D). Where can I find this new form? The form is located on the Shopping Home Page in the “Place an Order” section. Click here for instructions on using the UShop form to order Print Services. Utilizes approval based on GFA and electronic workflow, like all UShop orders. Orders are received and processed quickly, with a link in Management Reports for easy tracking. 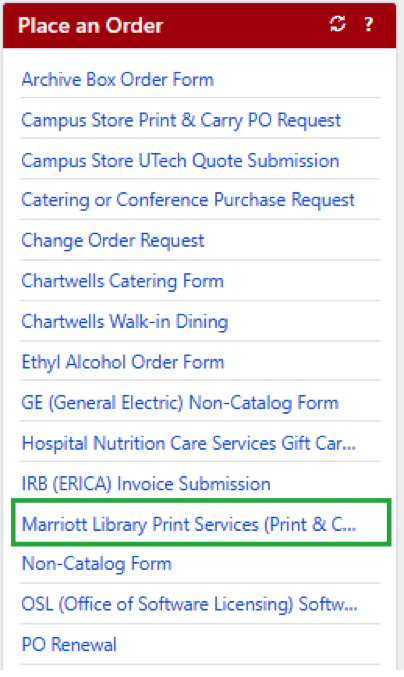 Marriott Library will handle timely billing of each order – no more waiting for a Campus Order to process! No more paper Campus Order copies to manage or sign. Comments Off on Order Printing Services from the Marriott Library in UShop! The Union Services Desk is now Available in UShop! Posted August 20, 2018 in P2P, Supplier, UShop, UShop Enhancements. Order movie tickets, other misc. passes and balloons from the Union Services Desk using UShop! We’ve enabled the Union Services Desk in UShop to replace using the paper Campus Order. 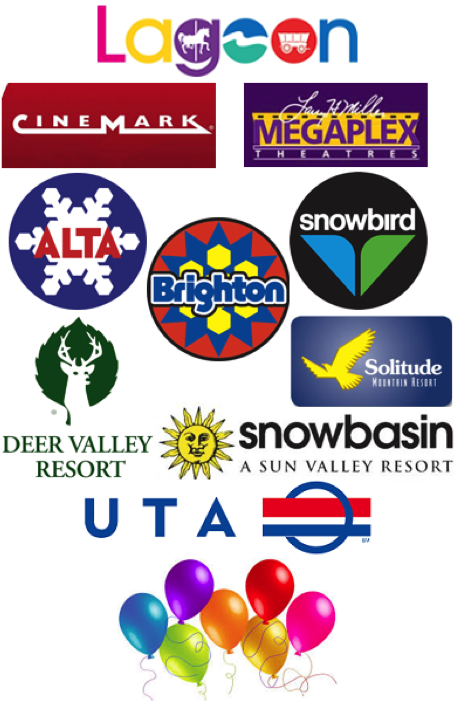 How do I use UShop to purchase tickets/passes from the Union? Log into UShop and locate the Union Services Desk order form. Indicate the number of passes* or tickets* needed and submit your order. *Note that there are limits on the number of tickets that can be purchased per department, per day. These are noted on the form. How do I use UShop to purchase balloons from the Union? Contact the Union to place your balloon order. Click here for instructions on using the UShop form to reserve rooms or space at the Union. The Union will handle timely billing of each order – no more waiting for a Campus Order to process! Comments Off on The Union Services Desk is now Available in UShop! Positively U Print & Carry form now available in UShop! Posted July 31, 2018 in P2P, UShop, UShop Enhancements. A new Print & Carry form is available to purchase miscellaneous items from Positively U/University Hospital Gift Shop. How do I use UShop to make a purchase at Positively U/the Hospital Gift Shop? • Log into UShop and submit your order — all that’s required is an estimated dollar amount and a brief description of the items being purchased. Where can I find the new form? Click here for instructions on using the form. This new ordering process doesn’t require keeping receipts or any type of reallocation. Positively U/the Hospital Gift Shop will handle timely billing of each order – no more waiting for a Campus Order to process! Comments Off on Positively U Print & Carry form now available in UShop! Reserve Rooms or Space at the Union and pay using UShop! We’ve enabled the Union in UShop to replace using the paper Campus Order. How do I use UShop to reserve rooms or space from the Union? Contact the Union to make a reservation. Log into UShop and submit your order—all that’s required is the reservation number and amount. Comments Off on Reserve Rooms or Space at the Union and pay using UShop! UCard now Enabled in UShop! Posted July 17, 2018 in P2P, UShop, UShop Enhancements. 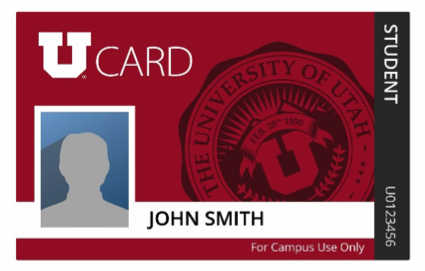 We’ve enabled UCard in UShop to replace using the paper Campus Order for UCard changes that are paid for by an employee’s department. How do I use UShop to request UCard changes? Log into UShop, and locate the UCard form. Fill out the form and submit your order—the PO will be routed directly to the UCard Office and they will contact you if they have questions or once the UCard is ready. Click here for instructions on using UShop to order UCard updates/changes. UCard will handle timely billing of each order – no more waiting for a Campus Order to process! Comments Off on UCard now Enabled in UShop!